We've decided to start a new feature on this blog called Dead Writers We Like, in which Third Place booksellers can highlight favorite (dead) writers who we believe merit attention - whether because they've faded from the public eye or just deserve more fans! Q. How did you first learn about George Orwell? Eric. I'm not sure when I first became aware of George Orwell. I know that my Grandmother read to me from Animal Farm when I was still too young to understand it's political message, but enjoyed the idea of talking animals. Perhaps it was Apple's famous Macintosh launching Superbowl commercial which first brought 1984 to my attention. I didn't read this famous dystopian novel until my early teens. 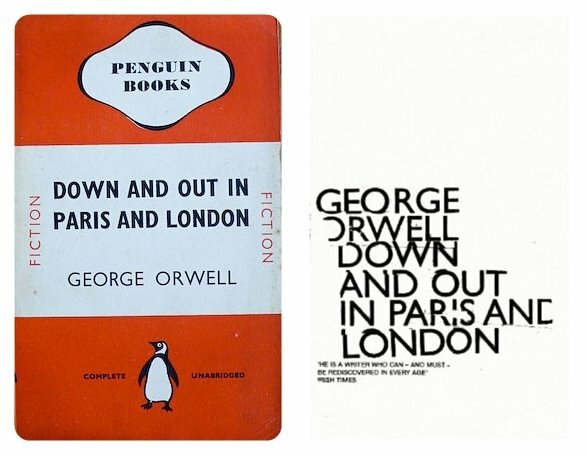 But it was neither of these iconic works that cemented my love of Orwell. Eric. His early autobiographical work, Down and Out in Paris and London, gave him a permanent place on my bookshelf. 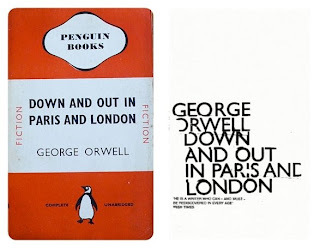 It first came to my attention when I was staying just around the corner from the rooms Orwell kept in Paris. A fellow traveler, who was reading Down and Out at the time, pointed out the address as we walked by and I had to admit that I hadn't even heard of the book. Having now read and re-read this chronicle of scraping by in two of the world's greatest cities, I think that it's an essential read for any lover of travel. Eric. "Men can only be happy when they do not assume that the object of life is happiness."